I’m stripping down to my bra and undies for the world to see. It’s terrifying. It’s empowering. It’s my story. It’s my blog. Preview: I am a 30 something mother of a spunky 4th grader and I’m married to an incredibly patient and supportive husband. They outline my heart with warmth and keep it beating. We live in a suburb of Minneapolis, MN. Ehhhh, Yaaaa Knoooow… Where it gets reeeally coooold, youuuuu betcha. I’m a recovering perfectionist, recently diagnosed with bi-polar. In September, I clawed fought battled emerged out of a nervous breakdown that lasted for months. While vacationing in the depths of Hell, searching for a way out, I came across a shiny, sharp, heavy a$$, sword. I summoned the strength to slay some bad guys and crawl out of that crazy, hot, mess. I’ve played the part of the party girl from the broken home, the well dressed career woman breaking through the glass ceiling, the slayer of demons in Hell. Each performance was worthy of an Emmy nomination but when you play so many parts, it’s easy to forget who you really are. Some of these acts can get pretty dark, pretty graphic… but I’d still call it a PG-13. My hope is that with a few laughs and giggles mixed in, we can get through this together. Now, here I am, getting naked. Even though I have always believed that what was underneath this armor was never good enough for me or anyone to see, I’m embracing it, and if you’re reading this, you better embrace it, too. I still have that fiery sword. Thank you for coming to the show. Take a seat and prepare to be uncomfortable. 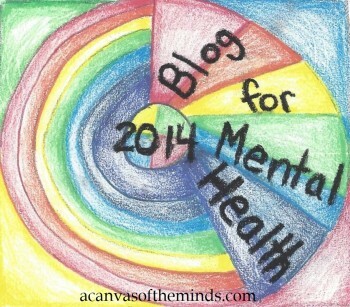 Your blog is beautiful and I admire your bravery. Thank you so much. Your kind words mean so much today. Great blog! Yeah, I’m also in the journey too to be more authentic 🙂 and I was encouraged by your sharing of what you went through and of how you met God. I met Him in my darkest moments too 🙂 hope we can keep in touch! I’m so glad somehow you found me..! Thank you, Mel. Truly appreciate your kind words and support. Let’s do this!